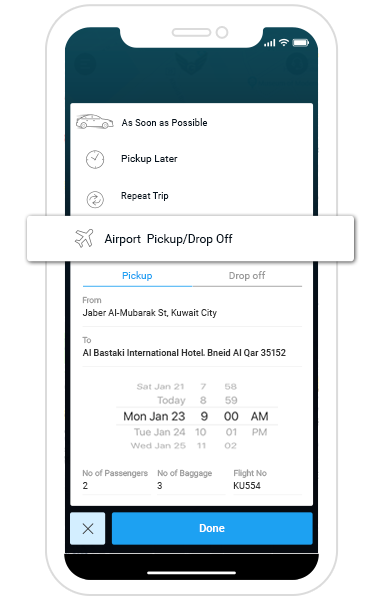 Book your ride in a few tabs using our car booking app! 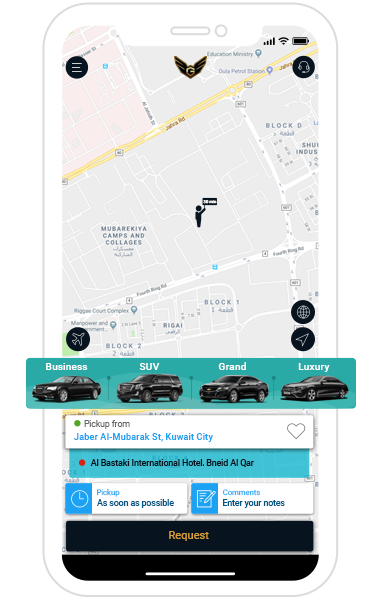 The Grand Limo's Car Booking App is designed specifically for our passengers to enable them to book cabs easily. Download the free Grand Limo app from the App Store or Google Play Store on your smartphone. Open the app and create your account. Now, you are all set to book your ride with us! 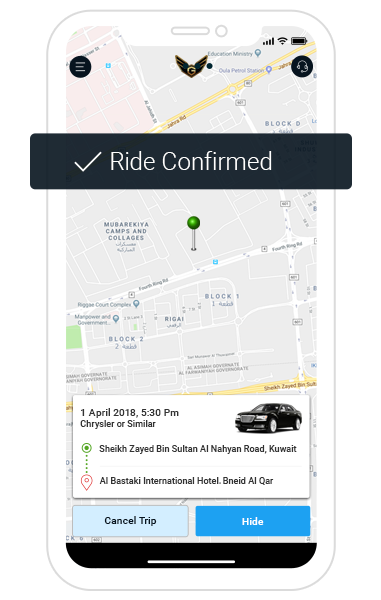 Next, you have to select your preferred vehicle type from the list displayed in the app, and then enter your pickup location manually or just by dragging and dropping the location pin. 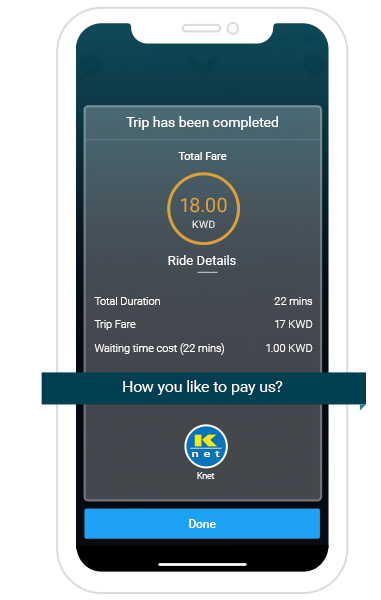 At the end of your trip, you will be getting the ride details and fare for the trip on your app screen. You can make your payment for the trip by cash or through wallet or Knet. 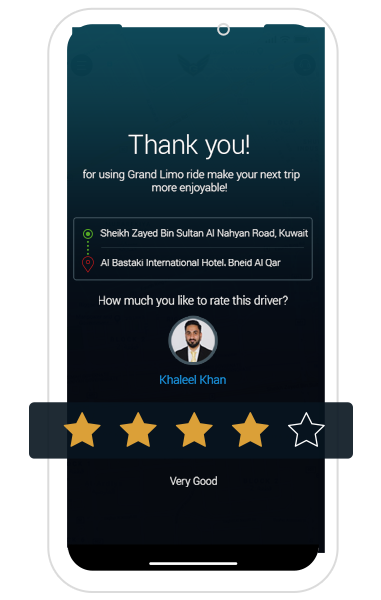 You can also rate your driver at the end of the trip based on your travel experience. Your star ratings will help us make your future rides more safe and reliable. Copyright © 2018 GrandLimo. All Rights Reserved.